How Does a Business File Bankruptcy? 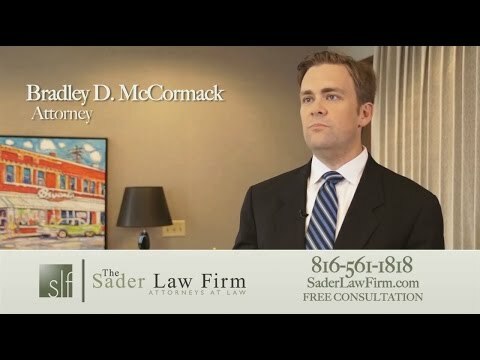 Business bankruptcy attorney Bradley D. McCormack explains the list of materials to bring with you for your first consultation with our Kansas City bankruptcy law firm. With a thorough understanding of your company’s financial standing, we can help you figure out if Chapter 11 or Chapter 7 are viable options for you. The first thing that we ask any new business client to do when they come in is to bring in our packet, which has got all the information for it. The packet has every, it’s a snapshot of the company and tells us everything we need to know, mainly the assets and the debts of the company. We need to know all the creditors that the company has and we need to know what is secured and what is unsecured, because there are options for both. There’s a way to get out completely of the unsecured debt, and there’s a way to restructure the secured debt. The most important thing for any business owner when they come to talk to us is to bring everything that we ask in the packet to be brought. Because that gives us everything we need to know and we’re going to be able to give them the best advice right at that first meeting. ← How Can Filing Bankruptcy Be a Good Thing?